Home/Blog/Book Bands vs. Sliders: Learn Before You Buy! Book Bands vs. Sliders: Learn Before You Buy! This weekend I listed two types of ITH projects in four sports themes: soccer, football, basketball, and baseball. 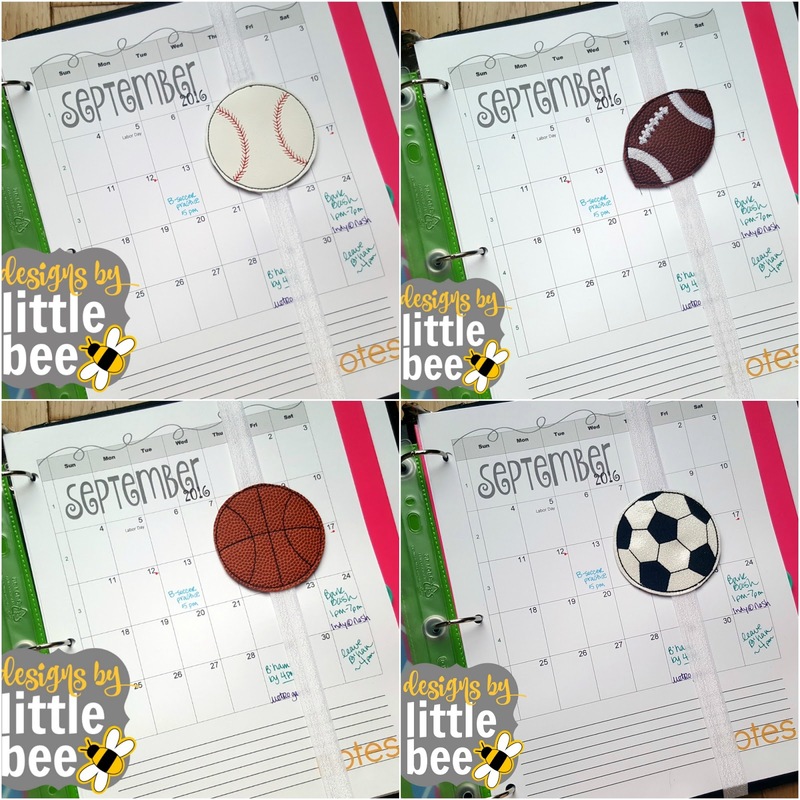 These are the most-asked-for sports so I created two projects for each: the book band and the slider. These book bands are stitched fully in the hoop. In my shop, a “book band” is an ITH project that involves stitching fold-over elastic into the top and bottom of the project, which is then sealed inside with your fabric sandwich. This is an easier project to complete in-the-hoop, but for my friends who have a very hard time cutting finished projects, it can be frustrating to accidentally cut through the elastic by accident, wasting the entire project. Sliders are useful in many craft projects! A slider, on the other hand, is completed fully in the hoop, and has an opening at the top and bottom of the project. 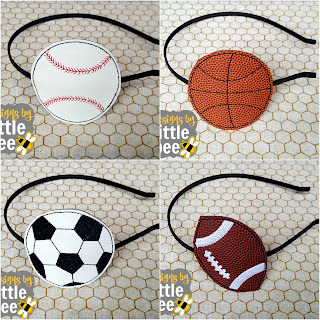 You can slide anything you choose through those holes – a headband, a piece of elastic that you have sewn together, etc. This project has the benefit of being easy to cut after your machine work is done, but does require extra steps in sewing or gluing the elastic together to slide inside those openings. 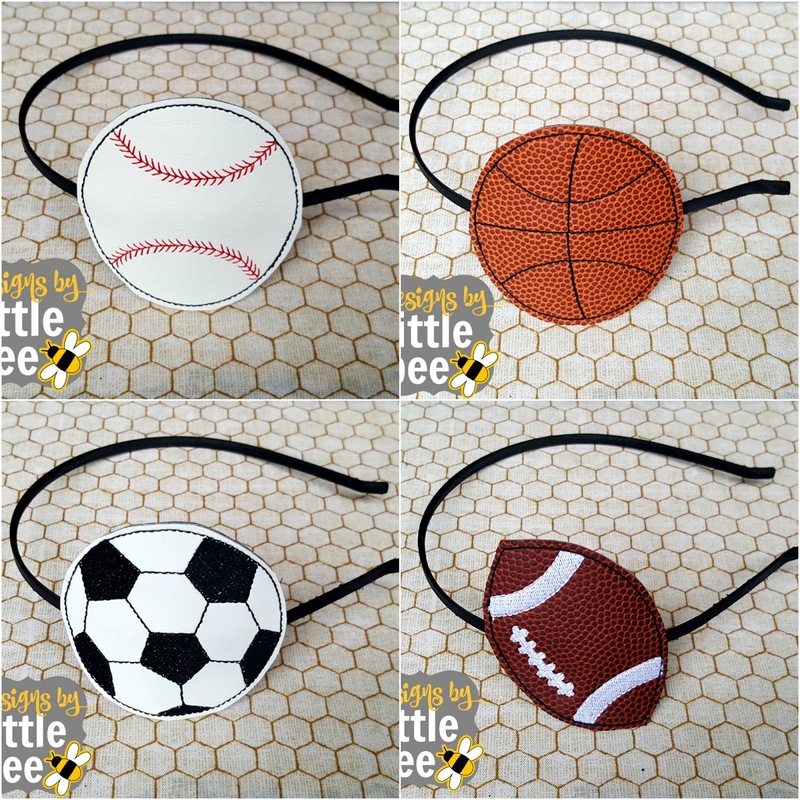 Find these and more great embroidery projects at designsbylittlebee.etsy.com.